Potentially unwanted applications are in ample supply these days. With so many software developers trying to make a quick buck, it is no wonder that applications such as MaxDownload get classified as potentially unwanted. This particular application is allegedly a torrent client, and it is supposed to be on par with qbittorrent, Deluge, and others. However, it lacks one essential ingredient: the ability to actually download torrent files. So what exactly can this application do? Does it have any benefits? And, if not, what is its true purpose? We will attempt to answer these questions for you so that you can come to your own conclusions. MaxDownload is a Russian-made torrent client that can be downloaded from its promotional website at Maxdownloader.com. The website is in the Russian language, so it is mostly aimed at Russian-speaking users. Nevertheless, the application supports multiple languages, English being one of them. We did not find any freeware distributing website that hosts it, but it is possible that it will appear on such websites in the future, either in a bundle or as a standalone application. Note that, if you want to avoid installing undesirable software, you should always opt for custom or advanced installation settings and uncheck them. As previously mentioned, MaxDownload does not have the ability to actually download torrents. Oddly enough, it does not have any secret functions as well, such as displaying commercial third-party ads or collecting information about you. This is really puzzling, because the developers have to make money somehow. To our knowledge, some antivirus applications detect MaxDownload as a Trojan, but our tests have shown that it is not a Trojan. The worst that this application can do is waste your computer’s resources, such as CPU and memory. So this application does not do anything useful. It does not have a clear purpose. Maybe in the future its developers will program it to display commercial advertisements, but we have no idea why they released it so early. So if you are looking for a torrent client, we suggest looking for something else, because this program will not deliver to you the service that you want. There are plenty of applications to choose from, and finding a good that works should not be difficult. All in all, MaxDownload is truly a potentially unreliable program. We do not know what the developers’ true intentions are. Our best guess is that they might try making money by adding to MaxDownload the ability to display advertisements. If that is the case, then you should remove this application as soon as the opportunity arises and get a real torrent downloading application. Click Uninstall a program and find MaxDownload. Right-click on the Windows logo and go to the Control Panel. 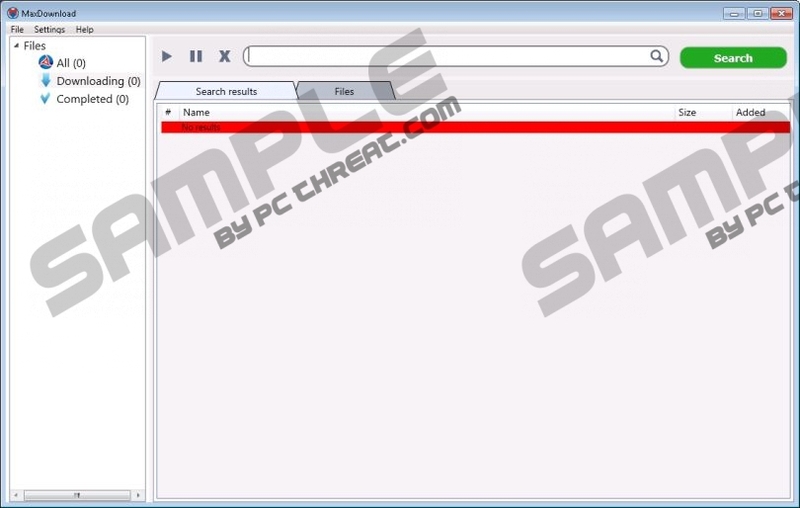 Select Add or Remove Programs and find MaxDownload. Right-click on the Windows logo and click Programs and Features. Quick & tested solution for MaxDownload removal.